Typical brakes on your average car that leaves a factory are meant for vehicles with standard engines, they are designed with safety in mind and up to the job of daily driving and the occasional emergency stop. However on track day, with constant heat cycles, standard brakes are typically not up to the task. The most common problem with standard brakes is brake fade. Under prolonged heavy use standard brakes will lose their effectiveness the harder you stress them. When you push the brake pedal, it’s commonly connected to a brake master cylinder. This translates the pedal force into hydraulic pressure. Brake fluid is pushed into each brake calipers via brake lines. The pistons within the brake calipers apply pressure to brake pads which are arranged either side of brake discs (or rotors). This process turns the kinetic energy of the wheels rotating into heat as the pressure from the brake pads slow the car down. The chemical compound of the brake pads, discs and brake fluid all effect its performance on track. OEM brakes are not designed for continuous use at high temperatures. Brake fluid is hygroscopic liquid, meaning it absorb waters. That water is turned into air at high temperatures. Air, unlike brake fluid can be compressed this causes a spongey brake pedal, reducing driving confidence. In every day driving, you may have experienced brake fade driving down a steep, winding mountain road where you had to brake around every corner. After some time you have to really apply pressure to the brake pedal to get the vehicle to slow down or to stop. If you are into track days, high performance brakes are non-negotiable. The reason is that they are designed to disperse the heat build-up more effectively than standard brakes. Often track day enthusiasts will take a spare set of brake pads with them to track days. Different types of brakes are not all equally suited to performance motoring. The typical factory-fitted brake pads are made of various blends of petro chemical resins and a couple of other ingredients. 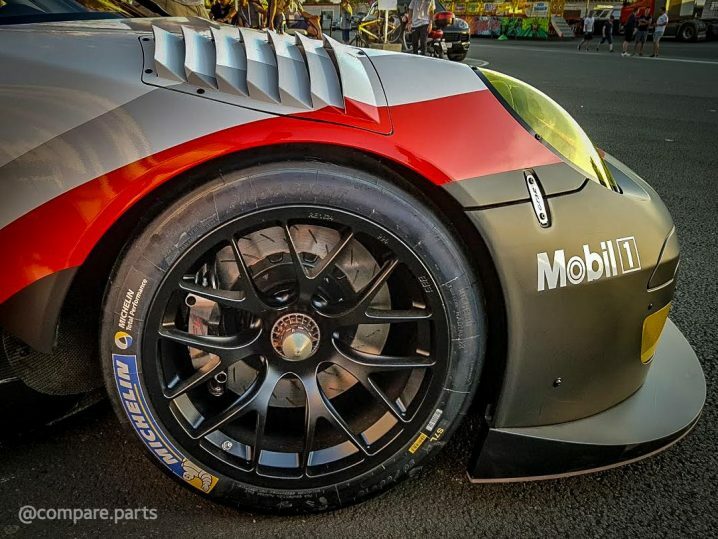 If your car is used for sport or racing purposes, fitting performance brakes is one of the first things you should do. High performance brake pads will be one that offers good pedal feel on first application and delivers great friction levels. It should also be able to maintain pedal feel and friction levels throughout the day, i.e. there must be no performance loss during repeated heavy braking. Materials such as coke or copper are often blended into brake pads for high performance systems to enhance performance and durability. Since the brake pads press down against the rotors, using the right kind of brake disc/ rotor is as important as brake pads. Similar to brake pads, brake discs/rotors are very susceptible to heat damage. A warning sign is when the steering wheel shakes and the brake pedal shudders when you apply the brakes. In years gone by Brake Disc/Rotor castings used for car brakes were atmosphere aged or annealed to enable the castings to settle after being manufactured. Because of cost constraints this is no longer viable for standard production vehicles. There is a wide selection of performance brake discs available using different compounds dependant on intended use. Vehicle manufacturers typically install a mixture of solid and rubber brake lines. With time and abuse from outside elements, rubber brakes lines can swell under heavy braking, reducing overall force on Brake Discs/Rotors. Installing Performance Brake Line Kits improves factory braking systems, and an absolute must for any track day enthusiast. Performance Brake lines are typically made from Teflon with their steel cases, they flex substantially less than ordinary rubber hoses, creating a firmer pedal feel, increasing driver confidence. BBK (Big Brake Kits) involve replacing the Brake Disc/Rotor, Brake Pads and the Brake Calipers. These Performance Brake Calipers may have additional pistons to increase braking pressure. Larger surface areas for Bigger Brake Discs/Rotors aid in cooling braking systems. The only downside to Big brake kits is the cost and the increased limitation on alloy wheel size. is usually indicated by its DOT rating which translates to its boiling point. A quick Google search will no doubt produce a long list of performance car parts ‘specialists’. The problem is that you might find out too late that the expert knows less about performance parts than your teenage cousin. A better idea is to use Compare Parts, the world’s first dedicated aftermarket and performance car parts comparison site. Compare Parts was built for car enthusiasts, by car enthusiasts with the mission of being the most comprehensive parts site on the web.